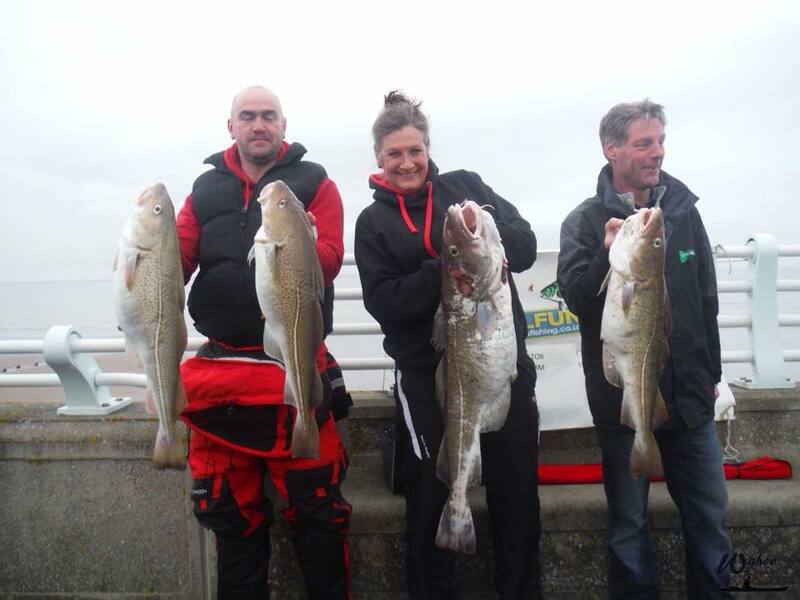 After a number of successful years, the Blue Anchor Cod Classic Competition, is back in 2018. 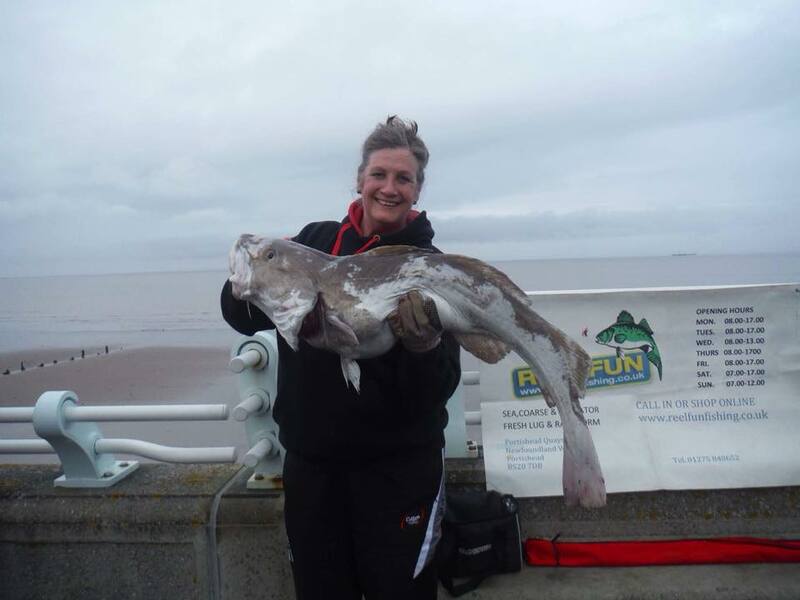 It will be held in Blue Anchor, Somerset and will challenge all who participate to bring home the biggest catch of the day. 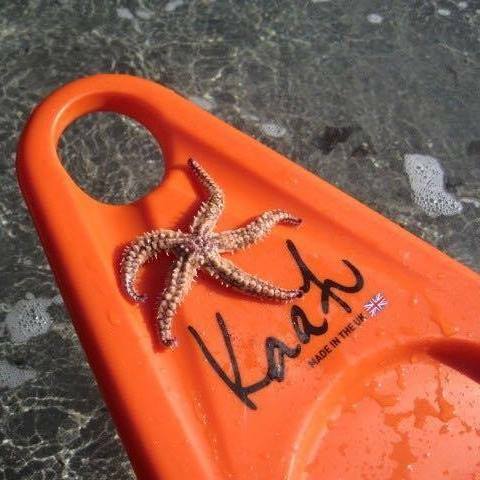 All competitors must fish from kayaks, and the lucky winner will receive a fishing spec Fatyak Kaafu. All proceeds will be split between the prize fund and the RNLI. No Angler shall go afloat without being in possession of and using appropriate personal safety equipment which will include a suitable PERSONAL FLOATATION DEVICE. 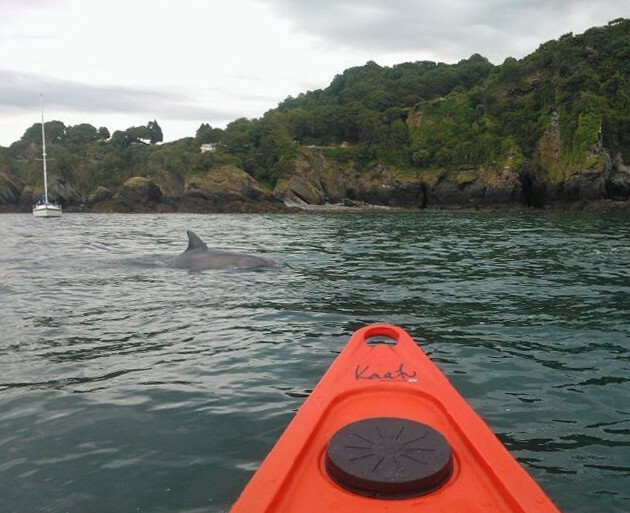 YOU GO AFLOAT AND TAKE PART ENTIRELY AT YOUR OWN RISK. No more than two rods fishing at any one time. Only one cod per entrant will be eligible to be weighed at the scales with a minimum length of 14 inches. The winner will be determined by the heaviest cod caught then second heaviest and so on. Entry will be by payment of £20 (cash only) on the day. It is anticipated that the entrance fees will be split 50/50 between the prize table and the RNLI. What am I likely catch? 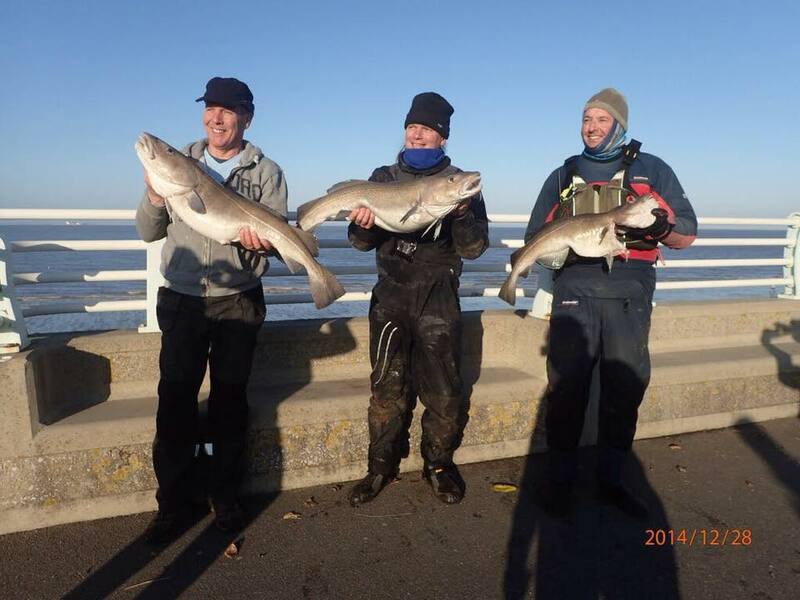 From the organiser: “First a foremost there are plenty of cod to be caught. You will though encounter plenty of Ray, mostly thornbacks to double figures. Plenty of good sized and double figure conger to fish baits. Some reasonable size whiting and various other resident fish. The secret at this venue though is to winkle out a cod which love all the baits that the others like too. At 10am there is a compulsory safety briefing before the launch at 11am. Please check the Cod Classic Facebook page nearer the time however in case of any changes. TA24 6LD. Head for the western or Minehead end of the beach. 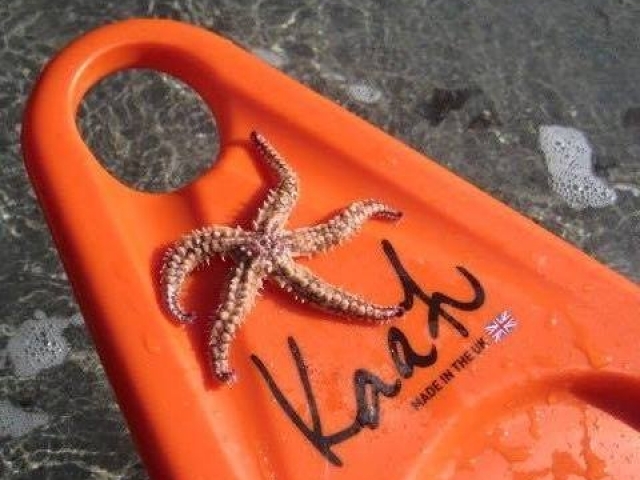 Fatyak Kayaks – providing a Kaafu fishing kayak for the winner. Reelfun Fishing will also be sponsoring the event, providing other prizes. For up to date information, check out the Blue Anchor Cod Classic 2018 Facebook Page. 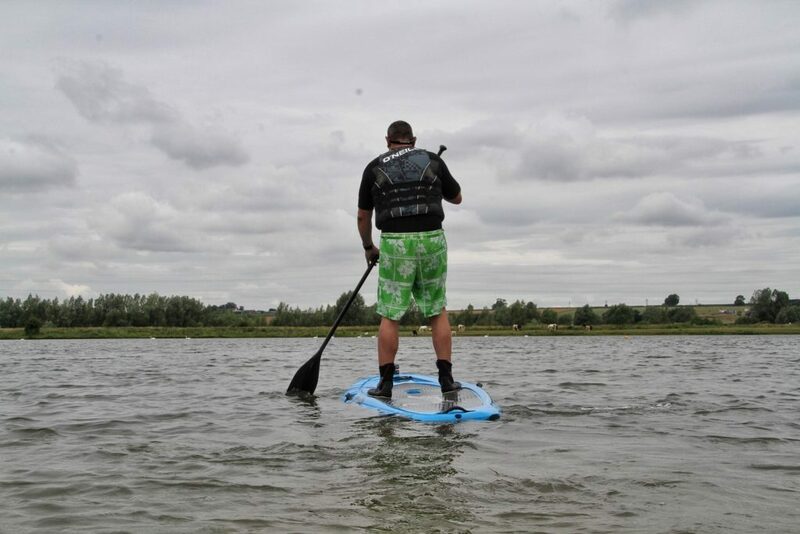 Sup Mag is one of the biggest SUP dedicated magazines in the UK. “Rotomoulded stand up paddle boards aren’t a new concept. Back at SUP’s inception a few overseas brands had some kicking about. 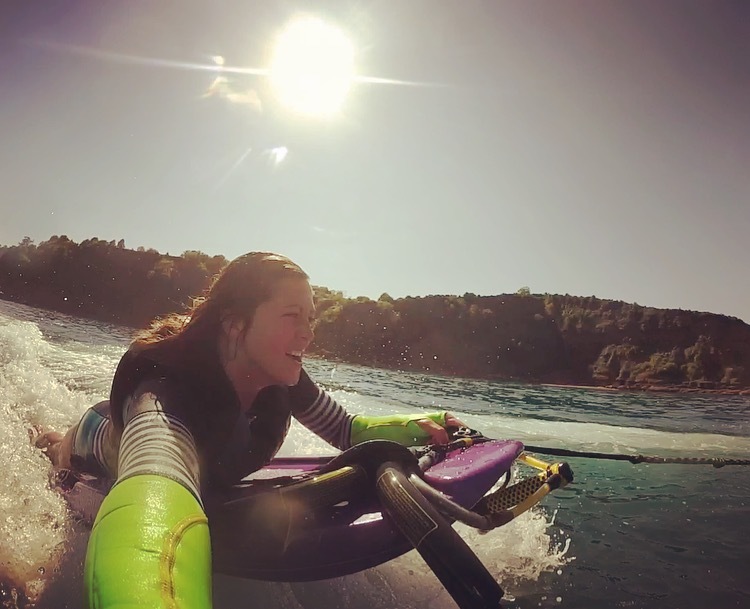 Somerset based Fatyak, however, are the first British company to bring a plastic board to market and it’s the Samos we review here. 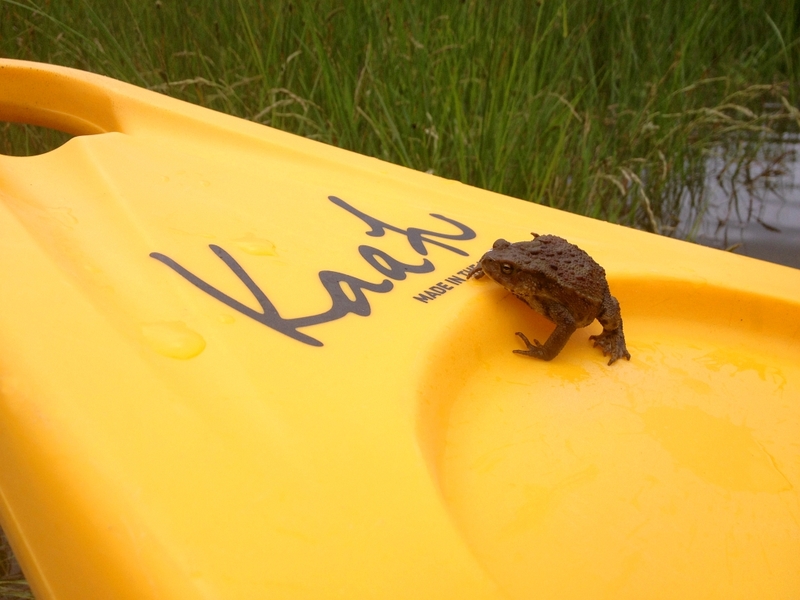 Anyone familiar with sit on top kayaks may have heard about Fatyak. Offering a bunch of sit down paddle designs it was only a matter of time before a FY SUP appeared. The Samos is an unusual looking beast. A myriad of chines and channels run through the hull and deck giving a slightly ‘tech’ appearance. 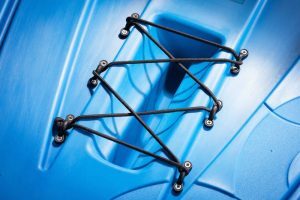 Fixtures and fittings are similar to what you find on FY’s kayaks with an overall finish that’s polished and high end. With its 10 feet of length and 36” inches of width(!) the Samos is a stable platform to say the least! You literally have to run off the Samos to fall off it. Combine this with a planted feel and there aren’t many boards that could rival it in terms of composure. 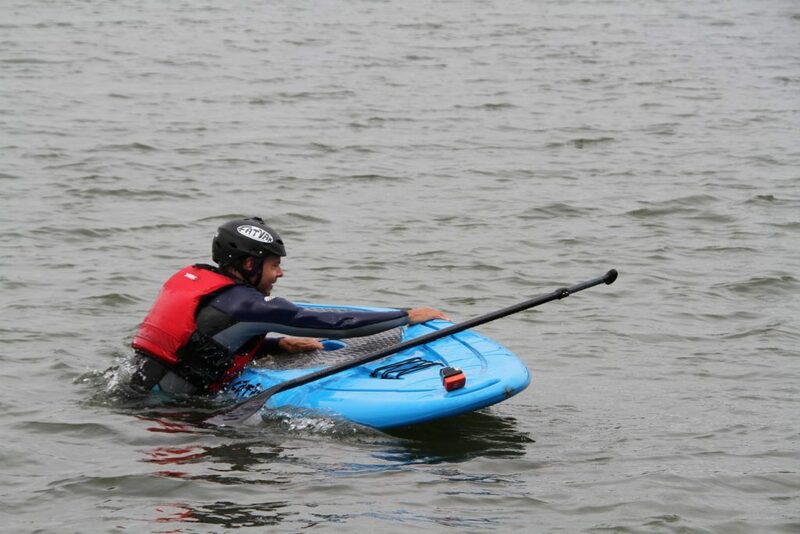 Heavy weights, and newbies at that, should have no trouble getting to grips with SUP if learning atop a Samos. Sweeping forwards and there’s a bulk of thickness up front in the nose area. This keeps the Samos locked in and directional. Together with the hull’s chines tracking is pretty good and even allows the Samos to be paddled sans fin. 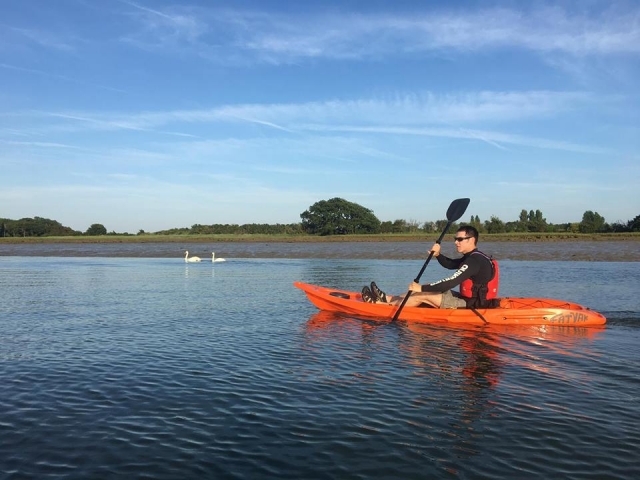 You do gain further efficiency when actually using the US box skeg but it’s nice to be able to use the Samos without in barely a foot of water – great for teaching anxious beginners who don’t like going out of their depth. 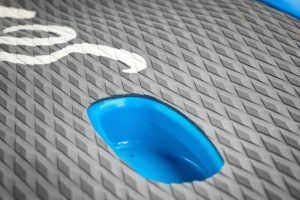 Manoeuvres are achievable – there’s certainly no reason why SUPers can learn to pivot turn and be proactive with footwork – it’s a livelier sled than you’d think. And while you could of course take the Samos into small waves it’s not really the board’s forte. We hope you have found this useful! 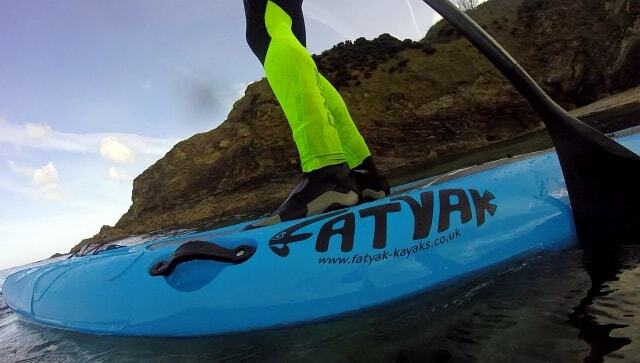 Register your product here to validate the 3yr warranty on your Fatyak product. This can be found on the boat/board itself. If you have purchased a black Fatyak – your unique serial number will be shown in your Fatyak booklet enclosed not on the product itself. 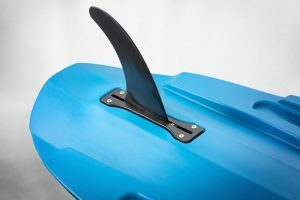 Fatyak Limited warrants to the original owner of the Fatyak Kayak that any part of the boat that is defective in material of workmanship will be repaired without charge. 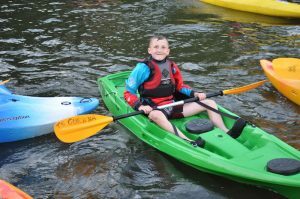 Stratford Upon Avon Sea Cadets are part of the UK’s oldest nautical youth charity, and the cadets have been trying out the Fatyak Kaafu. 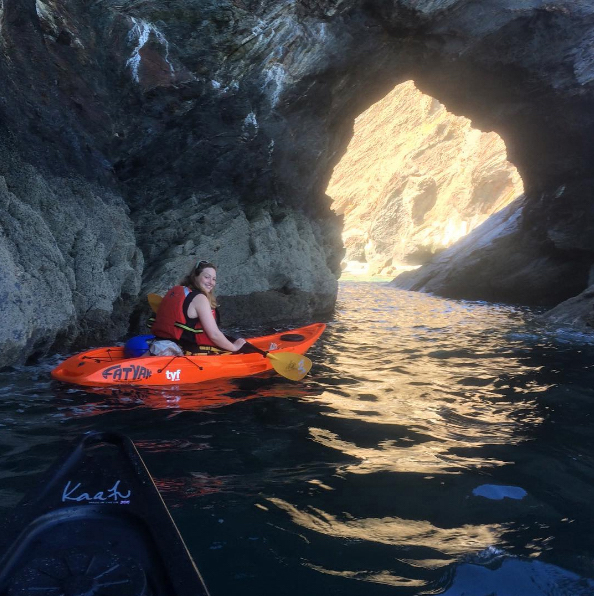 The staff also loved it and they found that for some of our more nervous beginnings the sit on top Fatyak Kayak offers a good starting point as they can often feel a little claustrophobic in a standard kayak and worry about getting out if they tip. So thank you so much, the cadets are having so much fun on the Fatyak and will continue to do so all summer. 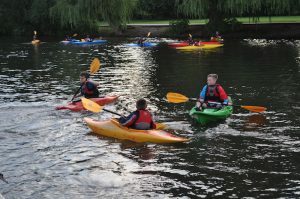 Every year Stratford Sea Cadets take part in the Stratford-upon-Avon River Festival. This is a huge event for the town and being Stratford it is also a big draw for tourists and the river is right at the heart of the town. Every year there are cadets on the river in their rowing boats and kayaks demonstrating their skills. This year there will be a cadet on a Fatyak and also a stand within the festival area on the river bank publicising the Sea Cadets, recruiting new cadets/volunteers and fundraising. 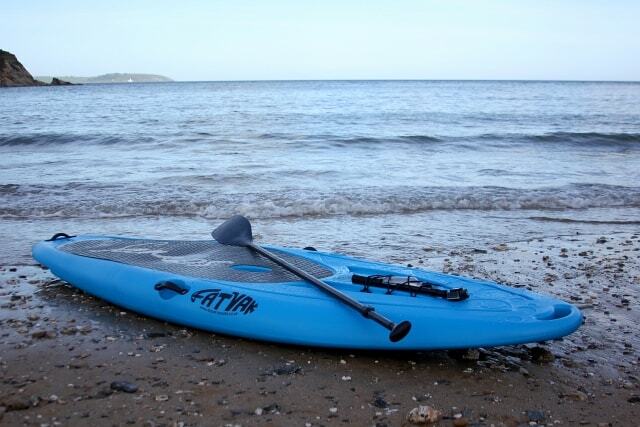 Fatyak will be providing a Hono Bodyboard for a raffle prize plus other great givaways! For more information about the Stratford River Festival, which will be help on the 1st and 2nd of July 2017 click here. For more information about the Sea Cadets, click here. Are you part of a club or charity that could benefit from support from Fatyak? As well as being involved with many great causes over the UK, we also offer great trade rates for clubs or businesses wishing to purchase a fleet. Drop us a call or email us and we can go from there. Here are some excerpts from Wild Tide’s review for the Samos SUP. 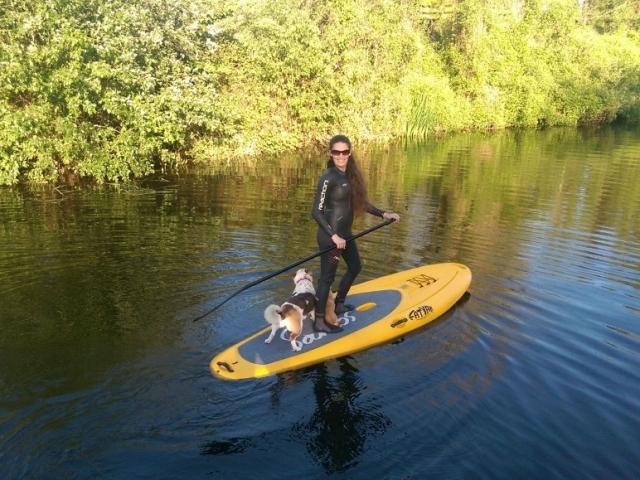 To view the Samos SUP in our shop, click here. 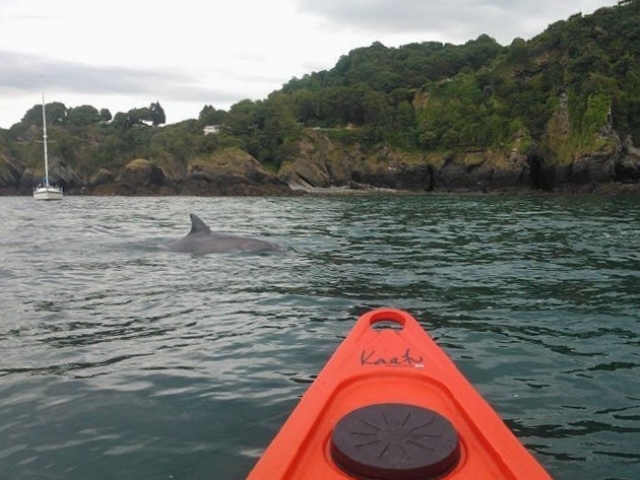 Samos SUP Review – a getaway in Devon. Thinking about buying the Samos? 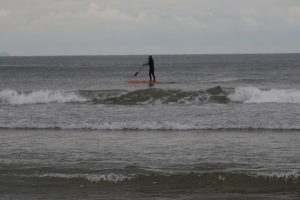 Have a read of this Samos SUP review by Jeff who describes his adventure recently with our new stand up paddle board. “Describe lasting enjoyment? Peace? 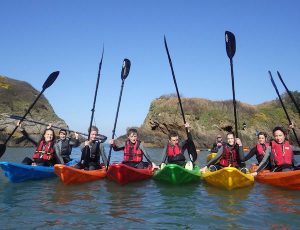 Describe the perfect end to an extreme two weeks of fun, surf, exploring the coastline of North Devon and getting battered by the elements at the end of autumn / start of winter. Myself and the wife have treated ourselves to an annual trip to Croyde in North Devon for the past few years to mark the end of the holiday season. The trip has always been about surfing, enjoying the local pubs for great food and beers whilst sitting by log burners, with lots of laughter, a chance to reflect on the year and plan for Christmas. This year we promised ourselves we would take full advantage of what the area had to offer. 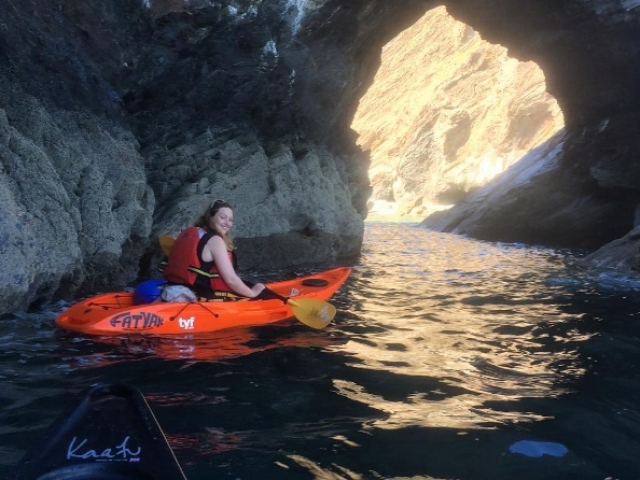 We have always spent time in the sea, surfing at Croyde Bay when we stay… but this year we wanted to try some more ways of exploring and taking in some of the beautiful coastline the area has to offer. 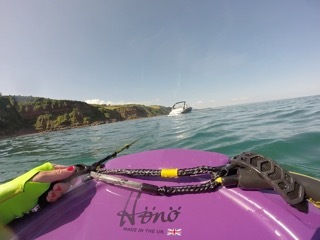 As the first week passed, the surf was ok….a little lumpy and messy at times, but a little too big for my confidence and lack of SUP experience – so unfortunately I was struggling to get the Samos out on the water. 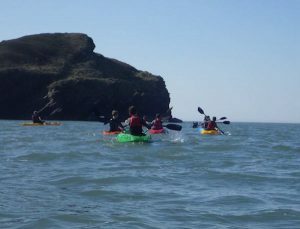 On the days it was too messy to surf, we walked the coastline around Baggy Point and Hartland. With each walk my desire to try the Samos grew. 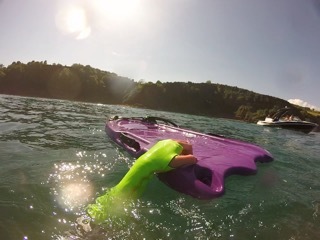 As did my frustration with the weather and not being able to get it out on the water. At the end of the first week, we experienced storm Angus in full swing. 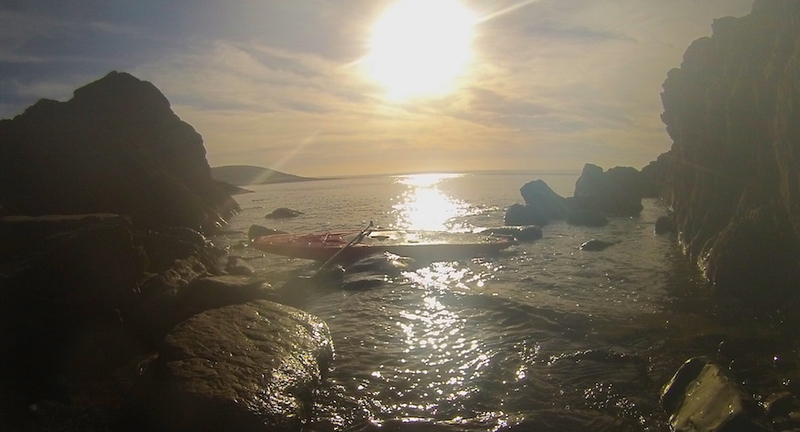 It started to look like there was going to be no chance of getting any more surf in, let alone taking the Samos in for a paddle, and although The Thatch was very welcoming, I was desperate to get in the water. 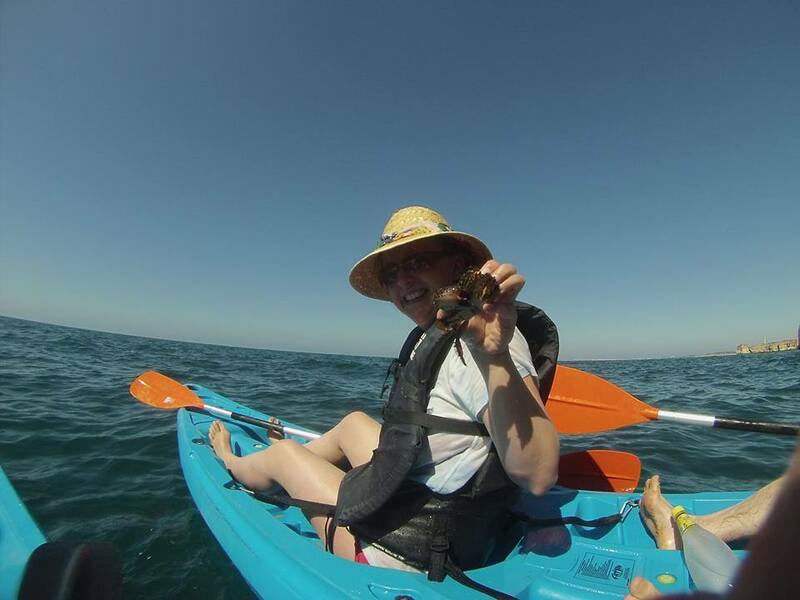 Then on the second to last day, the surf dropped to a clean 2ft and the conditions were perfect to try the Samos. So like a child at Christmas, I rushed to get my wetsuit on at 08:00 (with the wife looking at me as if I was mad), and I headed down to the shoreline. 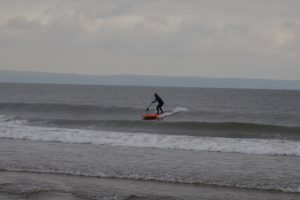 The sea was very kind to me that morning and after about half an hour of practice, I had a real feel for the board and caught my first wave, followed by several more! My confidence in the board, along with its great stability was growing by the second. The only thing that would have made the experience better would have been some autumn sunshine! The time had come for the last night. We packed up our gear so we could get a head start in the morning. 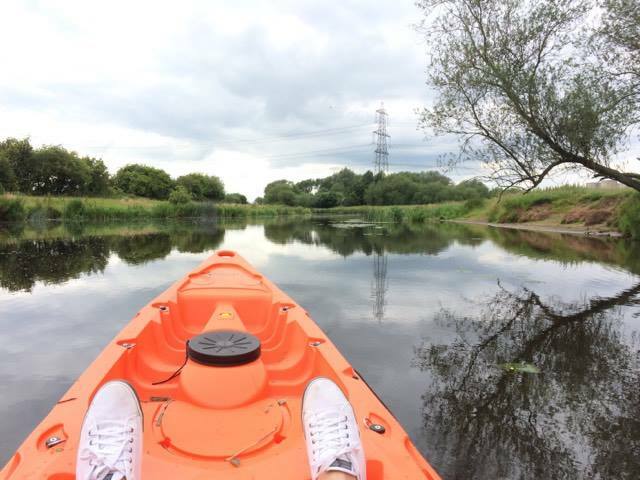 (I left the Samos available in the hope that I might get one last paddle before the trip home.) I’m sure you can all relate – this is one of the saddest parts of a holiday. After all the excitement, we can crash, with the reality that we will be back to work on Monday. I awoke at first light. It was about 07:30, drew back the the curtains in the apartment and looked across the bay. I had the biggest grin across my face! The sun was shining and all the swell had completely gone. It was like a mill pond! 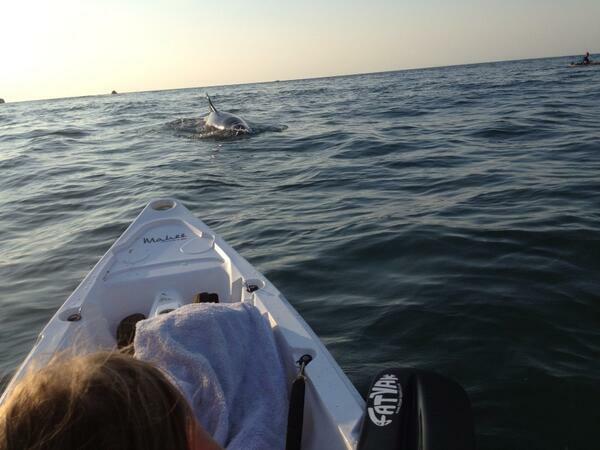 Yet again like a child, I found myself rushing to get my suit on to race down to the shoreline with the Samos in tow! 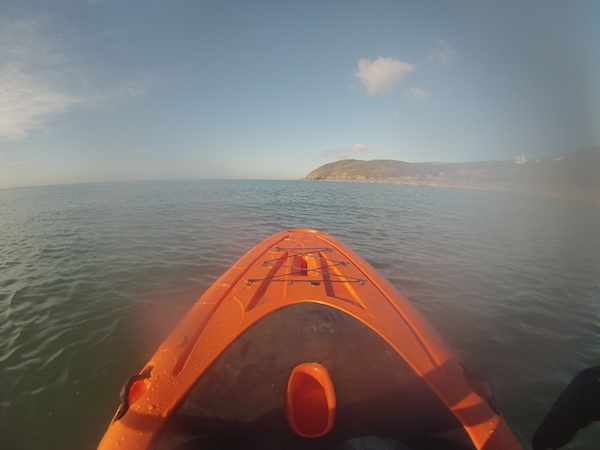 I spent the next 2 hours cruising along the coastline of Baggy Point looking at all the seabirds, listening to only the paddle gently striking the water as I guided the Samos in and around the rocks . And I even managed to explore some caves that you wouldn’t normally be able to access. 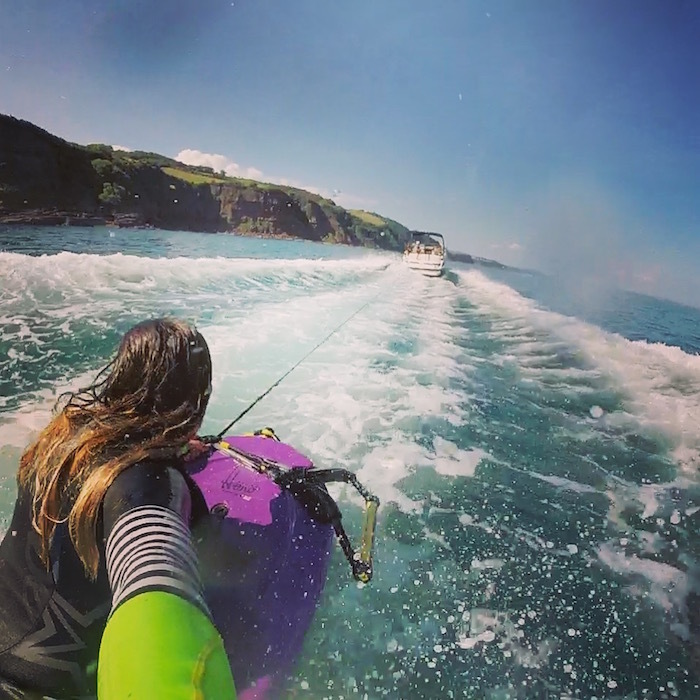 From this point on I was most definitely in love with the board, and now find I am always taking every opportunity to get it out on the water. 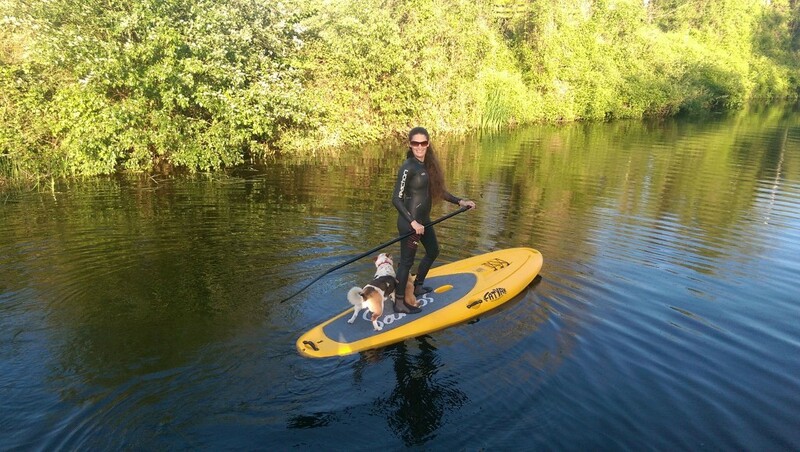 We hope this Samos SUP review is useful reading! For more information and to purchase, click here.